Communist Workers' Party – For Peace and Socialism (Finnish: Kommunistinen Työväenpuolue – Rauhan ja Sosialismin puolesta, KTP) is a political party in Finland. It was founded in 1988 to secure the existence of an independent Marxist-Leninist party. Since its founding, it has not gained seats in the parliament, and as a result, has been removed from the party register and re-registered three times. 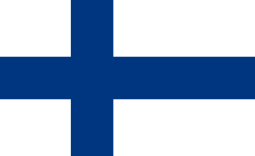 The Finnish Communist movement was split in the mid-1980s after years of infighting. Those expelled from the Communist Party of Finland (SKP) formed the Communist Party of Finland (Unity) (SKPy) which, however, itself soon split into different factions. KTP was founded in 1988 by one part of Finnish Communists who thought the SKPy had ventured too far from the principles of Marxism-Leninism. The final decision to found a new registered Communist party was made in the autumn 1987 seminar held at Matinkylä. The Marxist-Leninists behind the project felt themselves neglected since the Dipoli congress of the SKPy in 1986. Many of the KTP cadres came from the (expelled) Uusimaa district of the SKP which, since the late 1970s, had had its disputes with the opposition of the SKP led by the Tiedonantaja society. In 2002 the KTP split over question of alliances possible for a Communist party. The Central Committee of the KTP rejected after voting (18–9) a proposed membership in a new (electoral) party, Forces for Change in Finland (MVS), in which clearly right-wing elements were also going to participate. MVS was supported especially by the Helsinki district organization of the KTP which then decided to enter the MVS without their comrades. KTP answered by expelling the above mentioned organization and many leading members of the party, including Heikki Männikkö (the party secretary), Reijo Katajaranta (the editor-in-chief of the KTP organ) and Pekka Tiainen (the former presidential candidate in 1994), had to go. The Communists expelled then found their own organization, which was at first called plainly Communists, but later changed to League of Communists (or Communist League). The KTP has avoided contacts to their ex-members. The KTP got some unexpected nationwide, and even international, publicity ahead the local elections in 2004 when the Turku and Raisio branches of the party made an electoral alliance with the far-right racist Finnish People's Blue-whites (SKS). The party leadership reacted strongly and condemned the manoeuvres. The alliances were, however, already signed and the KTP candidates stood in the two west coast cities with no success, although the KTP didn't advertise their rebel candidates. The man behind the alliances, Esko Luukkonen, was discharged from all party responsibilities, and he (and the KTP Turku district organization) later joined the League of Communists. The founders of the KTP were former supporters of the SKP opposition and as such came from the brezhnevist tradition of Marxism-Leninism. The critique of the late Soviet Union has been, however, included in the party ideology from the beginning. In 1998, for example, the KTP announced that the estimations made on the nature of the era, during the 1970s and the 1980s, were no longer realistic or correct. Yet the Marxism-Leninism of the KTP is far from Eurocommunism. The party leaders may quote Joseph Stalin and traditional Leninist rhetoric is required. The existence of an independent Communist party, which is not buried in any unprincipled coalition, has always been one of the central political issues in the KTP. Markus Kainulainen, probably the best known politician in the KTP, was one of those who, already in 1969, in the then SKP, was in favor of a new party unlike the majority of the party opposition. In the 1980s, the KTP used to criticise the SKPy for not officially registering the party. The KTP is strictly against the European Union, the Euro currency and Finland's participation in these capitalist formations. The party has consistently boycotted the elections of European Parliament. The KTP wholeheartedly supports the Democratic People's Republic of Korea (DPRK) and its current leadership. The party has published writings of Kim Jong-Il and many members of the KTP are actively participating in The Society for the Study of the Juche Idea. Every year, the KTP holds its party congresses in which the official delegates choose the members of the important Central Committee. Little change usually happens and Hannu Harju has led the party since the 1997 congress. He was preceded by Timo Lahdenmäki. The KTP has been a small party all its life and it currently has some 200 members. The candidates of the KTP in the parliamentary elections have failed to get the attention of voters and the party has managed to gather only a few thousand votes. The KTP has some local strongholds, like the city of Kemi in northern Finland where Pirkko Ezewuzie is the lone KTP councillor. The party, with its own lists, has also participated in the elections of some trade unions and cooperatives. The KTP has international contacts even though the party is not a member of any international organization. The Russian Communist Workers' Party – Revolutionary Party of Communists has warm relations with the KTP as well as the Nordic Communist Party of Sweden (SKP), Communist Party in Denmark (KPiD) and Communist Party of Norway (NKP). Työkansan Sanomat (TKS), which appears fifteen times a year, is the organ of the KTP. The current editor-in-chief of TKS is Hannu Tuominen. In local (Helsinki area) Lähiradio radio station the KTP has a weekly program called Työväen puolituntinen.